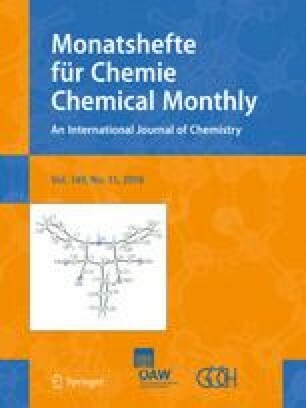 A valuable and clean method was developed for the synthesis of the group of different novel 2-amino-4,8-dihydropyrano[3,2-b]pyran-3-carbonitriles containing a 2-aminopyran moiety by using of azido kojic acid and various 2-arylidinemalononitriles in the presence of NH4Cl as a catalyst in a green solvent (ethanol) with excellent yields. All structures were analyzed by FT-IR, 1H, 13C NMR spectroscopy, and representatively, one compound was analyzed by X-ray crystallography technique. Crystallographic analyses indicated that of this compound a dimer formed via two weak intermolecular hydrogen bonds with d(N···O) distances of 2.927 Å and made a 14-membered ring with centrosymmetric (Ci) form. The online version of this article ( https://doi.org/10.1007/s00706-018-2254-3) contains supplementary material, which is available to authorized users. We thank the Urmia University Research Council for supporting this work.